From Left: Lee Chee Keen (Manager, Golf Course Maintenance - GROUP), Evelyn Wong (Assistant Manager, HR – HHGCC), Lee Ai Ling (Assistant GM, Finance - GROUP), Sheren Yong (Assistant General Manager, Club Operations – KPGCC), Saw Wah Theng (Executive Director, Gamuda), Dato’ Goon Heng Wah (Executive Director, Gamuda), Tang Meng Loon (Director, Club Operations – GROUP), Vivien Gnananantham (Manager, Marketing Communications – GROUP), Ong Seng Kiat (Assistant General Manager, Club Operations – HHGCC). 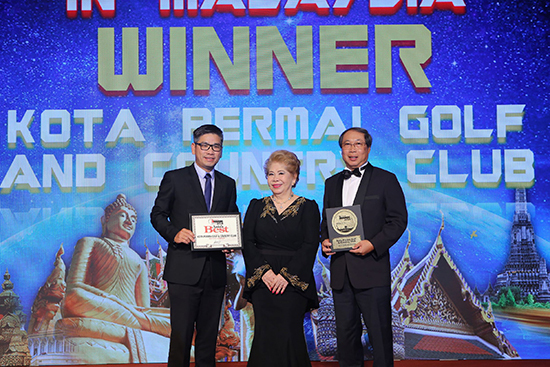 Shah Alam, 3 November 2018: Kota Permai Golf & Country Club (KPGCC) made a clean sweep of the Malaysia’s Best Golf Course awards at both the 2018 World Golf Awards and Asian Golf Awards ceremonies today, which were held at the opulent La Manga Club in Madrid, Spain and the brand-spanking-new Hyatt Regency Bangkok Sukhumvit in Thailand, respectively. 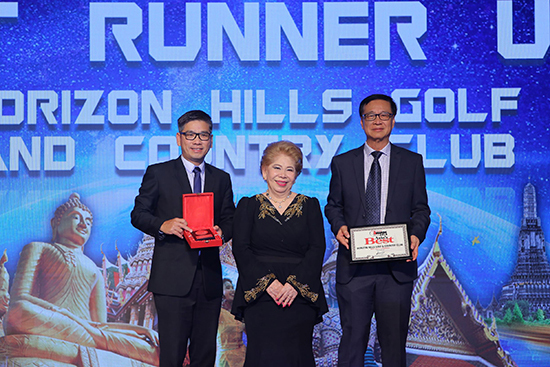 Winner, Best Course In Malaysia - KPGCC (from left) Tang Meng Loon (Director, Club Operations – GROUP), Angela Raymond (President, Asia Pacific Golf Group), Dato’ Goon Heng Wah (Executive Director, Gamuda). 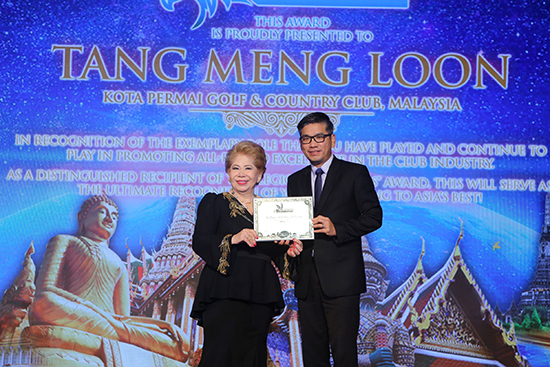 1st Runner-Up, Best Course In Malaysia - HHGCC (from left) Tang Meng Loon (Director, Club Operations – GROUP), Angela Raymond (President, Asia Pacific Golf Group), Saw Wah Theng (Executive Director, Gamuda). 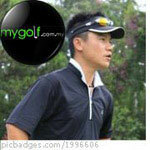 “This has been an amazing year for us with both our golf properties taking top coveted spots in the Best in Malaysia category at the Asian Golf Awards. 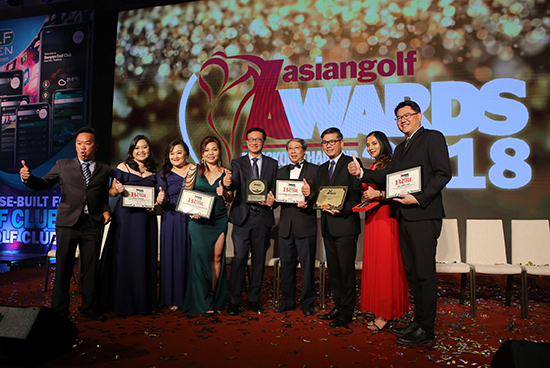 And with KPGCC recognised at the World Golf Awards as the Best Course In Malaysia for the fourth time in the WGA’s five-year history, and also at the Asian Golf Awards – the recognition marks a first-ever double win in our 20-year history. We are extremely happy with these achievements which have capped off 2018 on a very exciting note and provided the icing on KPGCC’s 20th anniversary birthday cake,” said a very delighted Tang. After months of balloting worldwide and facing fierce competition from other top clubs in the country, KPGCC bulldozed numerous nominees all vying for the prestigious awards, with HHGCC following close behind in its wake.